Hello all! It’s been some time since I laid some words down for everyone… and for that I apologize. The entire crew here at OnePerCase has been hit by life or work pretty big these past few months. But I’m here today to share some fun stuff. 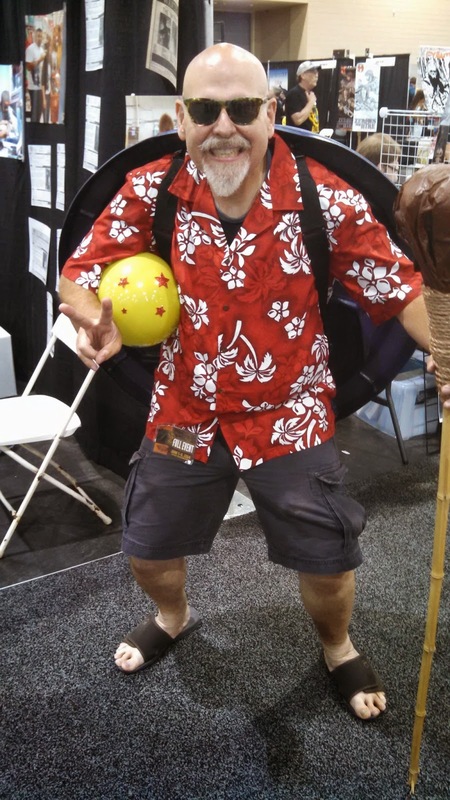 My vacation season just started and I kicked it off by once again heading to Phoenix, Arizona for the Phoenix Comic Con! 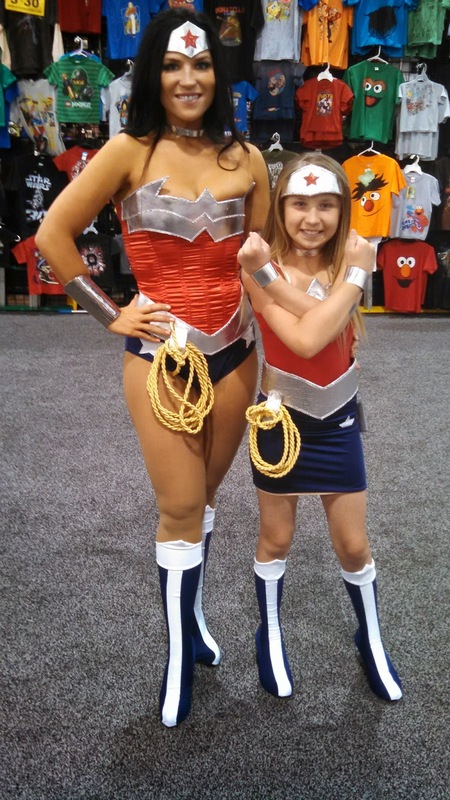 I got to meet some great celebs, ask my toy questions, and snap a few pics with them and of some great cosplayers. Take a peek after the jump! I kicked off my vacation on Thursday heading into the 104 degree heat in Phoenix. My good buddy Ken picked me up and we were ready to start! Phoenix has a thousand of good places to eat… from Teakwoods to the Tilted Kilt to the Santan Brewery to the Thirsty Lion. If you happen make it to the Thirsty Lion, say “Hi!” to Johnnsie and Fern. The Con kicked off on Thursday… as Media, we were able to get in a little before everyone and get underway with some questions and meeting and greeting. 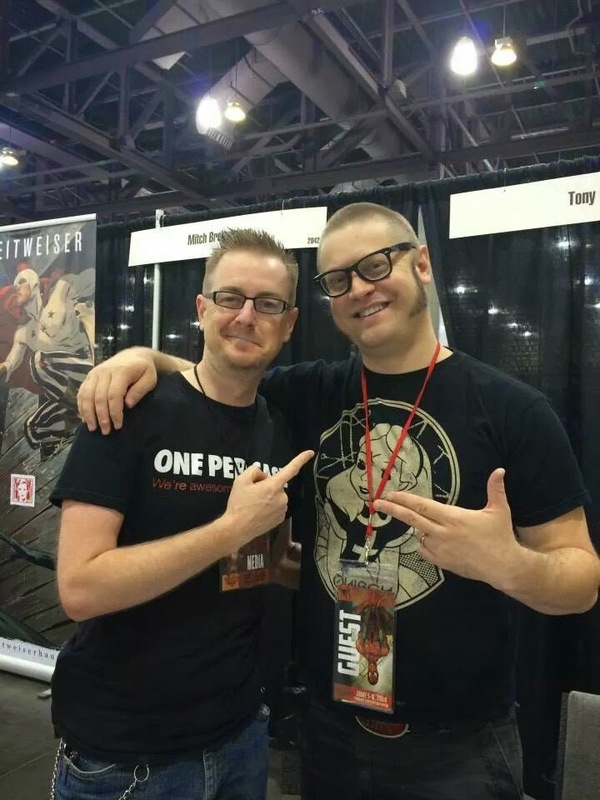 The first artist I was able to pester was Marvel artist Brandon Peterson. 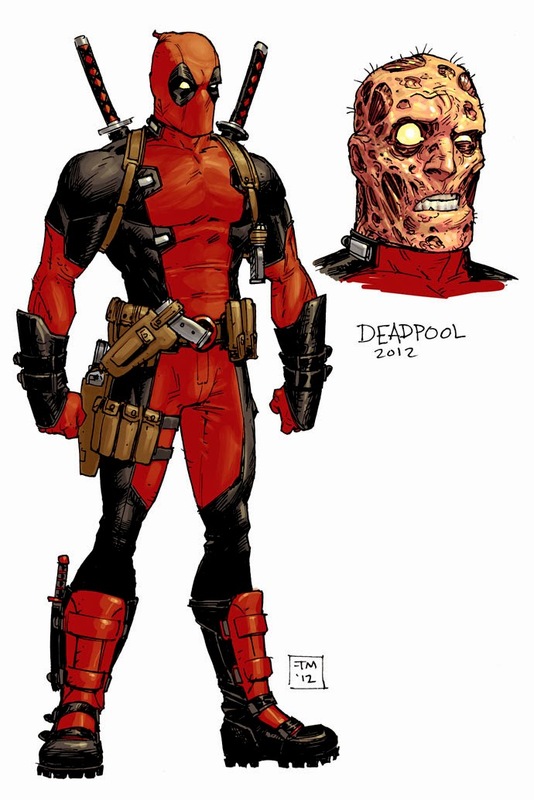 You’ve seen his work in Marvel’s “Ultimate X-Men”, Wildstorm’s “Codename: Strykeforce”, and currently back at Marvel amongst the Avengers and Ultimate’s titles. 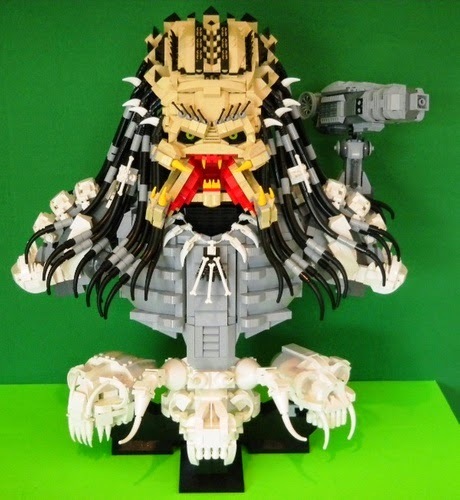 When it came to toys as a kid… Brandon preferred LEGOs. He actually wanted to be a structural engineer; building all manner of structures out of the multi-colored bricks to test their strength and how well they held up to stress and dro-testing. He eventually got into art and left his dreams of engineering behind. 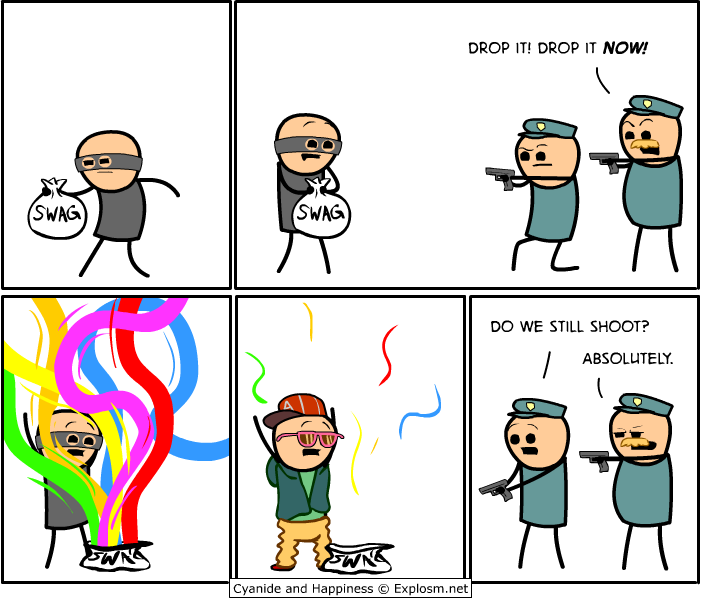 My next stop around the early hours of the con was to say “Hi!” to the fellas over at the web-comic “Cyanide and Happiness”. 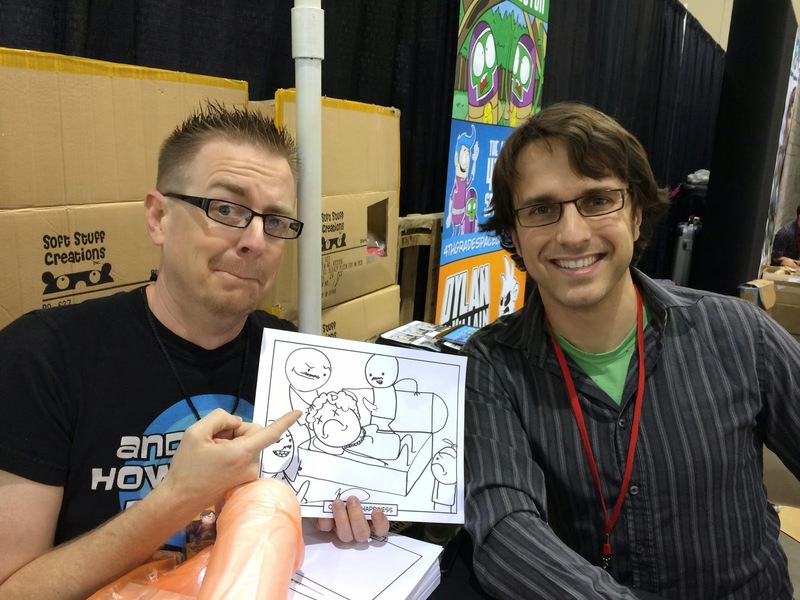 Rob DenBleyker was there signing autographs and doodling up a storm of some of the most outrageous pictures; the idea being that you pull a few subjects from a box and then Rob draws a picture based on that. 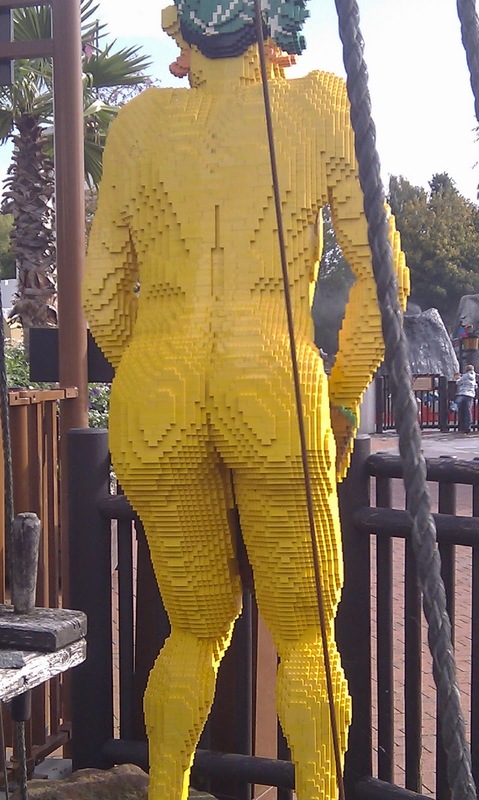 It turns out Rob was also a LEGO fan. 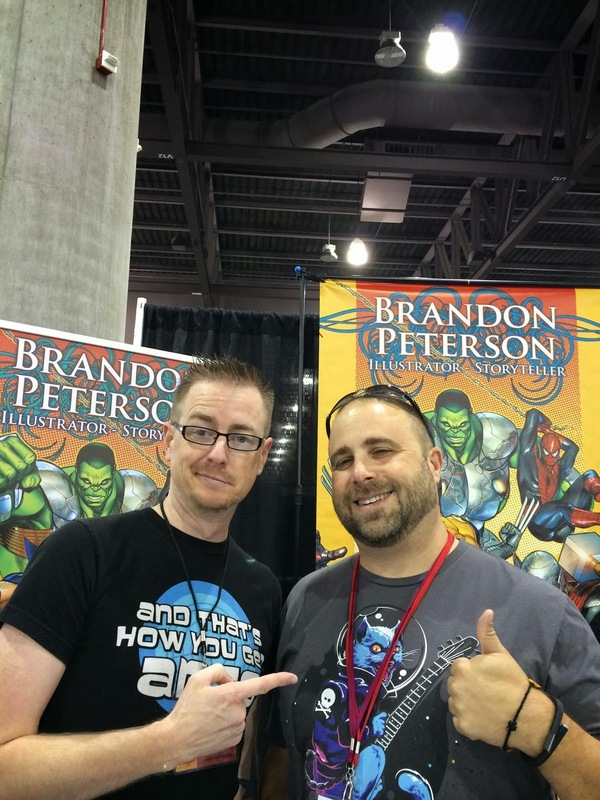 Maybe not for the reasons Brandon Peterson was… but Rob certainly loved them for the creativity factor... 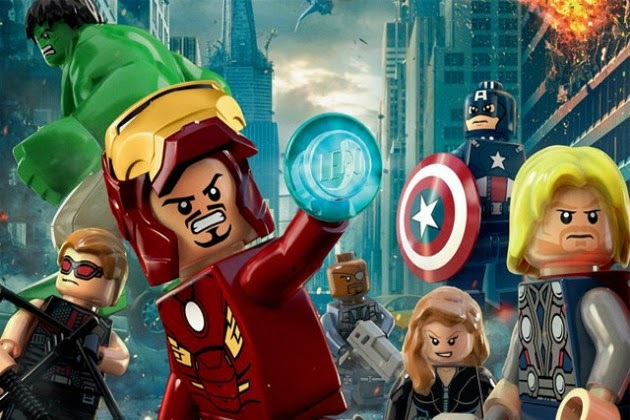 I'm sure the craziness of the LEGO Movie was right up his alley. 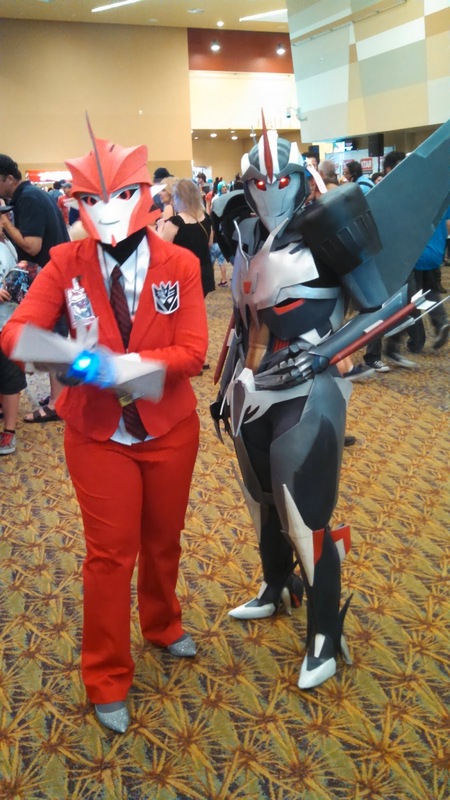 We ended the Con early on Thursday as we didnt want to see everything in one go... we had to pace ourselves. Thursday night, I had a few other things to do… like watch 1987's "GI:Joe – The Movie" with Ken and Jay over at Reel Booze. 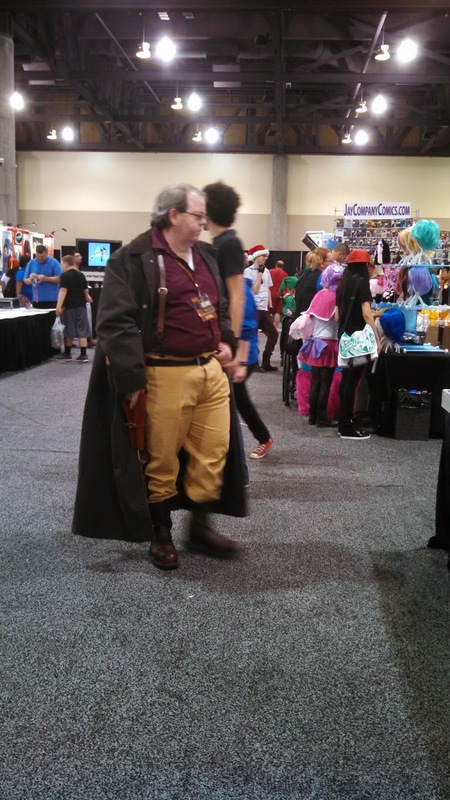 On Friday, I hit the Con sporting my OnePerCase duds and asked my favorite toy question to quite a few folks. 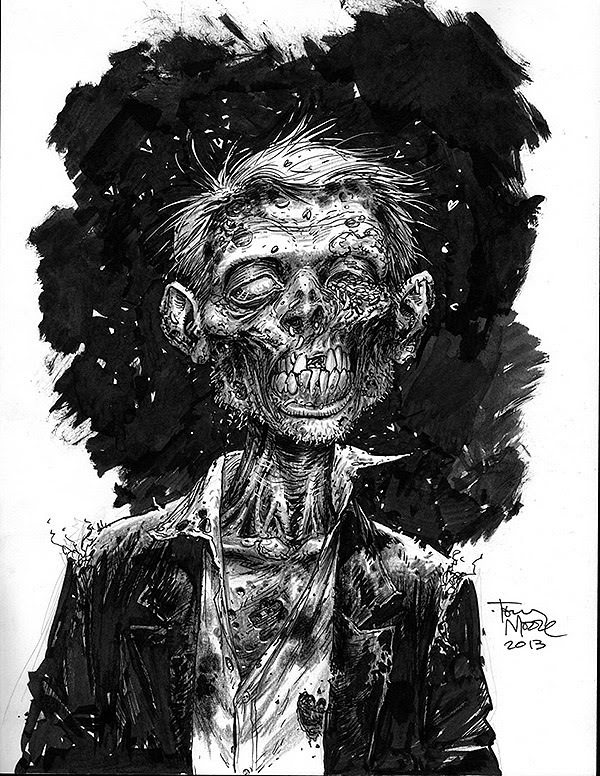 Friday’s first stop was with the original “Walking Dead” artist, Tony Moore. 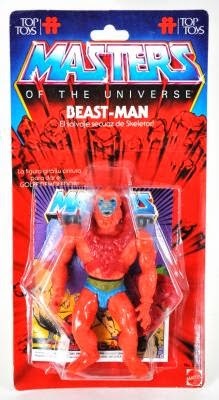 Tony was more than happy to let me know about his love for He-Man; Beastman and the Horde characters in particular. 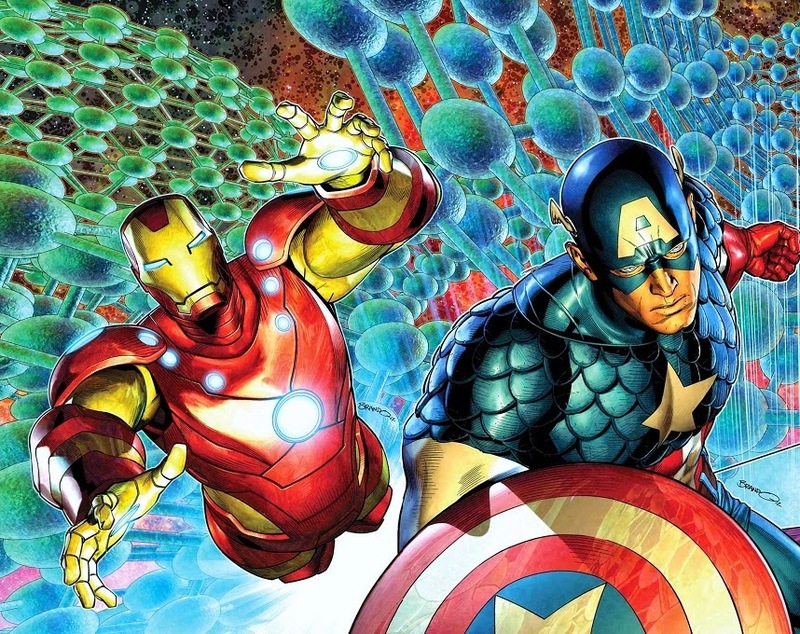 Tony’s grandfather used to buy him He-Man figures. His grandfather felt that they were the perfect size; big enough that that he wasn’t wasting money. Of course, Tony didn’t care about the money; he enjoyed that perfect combination of primitive barbarians and high-tech science. 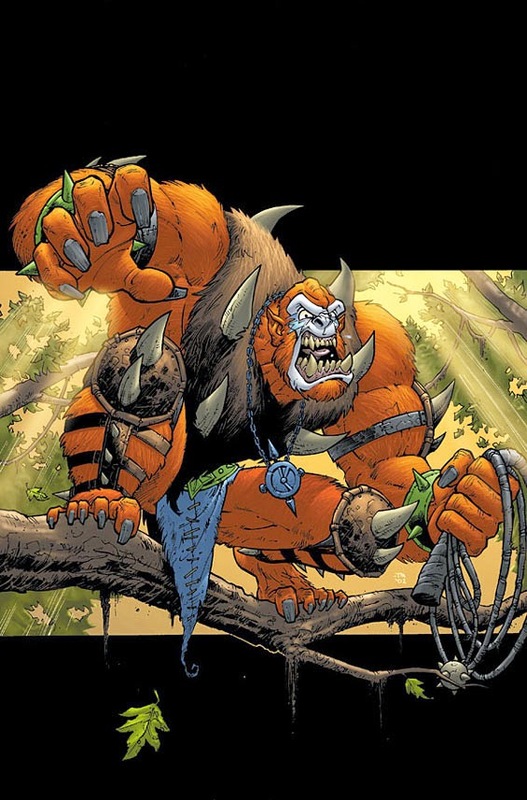 Coincidentally, Tony’s first professional art gig was drawing Beastman. As I was walking down the aisle I came across IDW Transformers artist Livio Ramondelli. 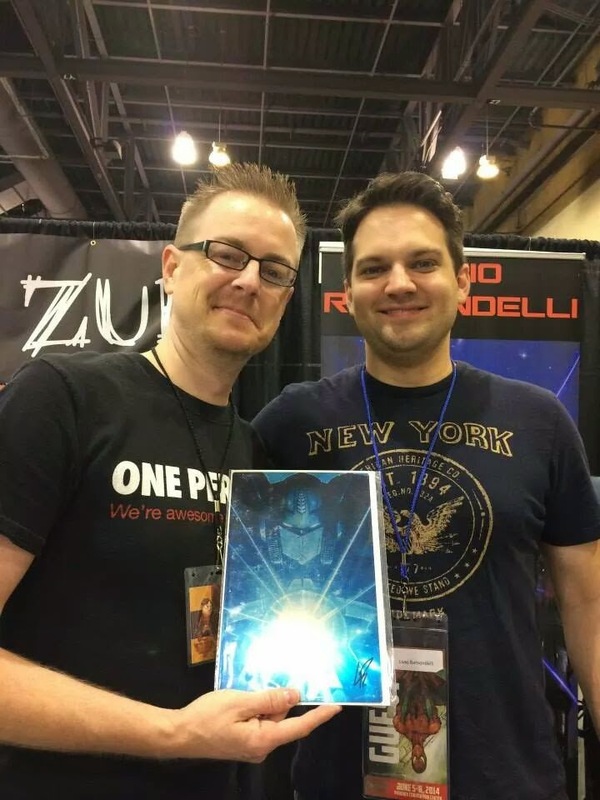 Livio provided the art for the Transformers arcs “Autocracy” and “Monstrosity”. 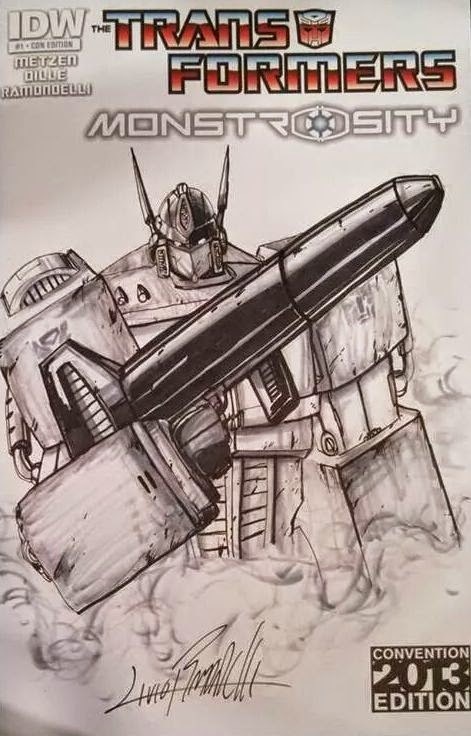 His art is scratchy and gritty; getting Livio tapped to handle the pencils for the “Dark Cybertron” story arcs that take place in the Dead Universe; a perfect place for hisstyle. I’ve chatted up Livio a few times about art and Transformers; even getting a beautiful commission piece from him. I just have to get a Megatron to match! But for now, I had to ask the golden question. Lo and behold my total lack of surprise in finding that Livio liked none other than the bots he drew the most as a kid. 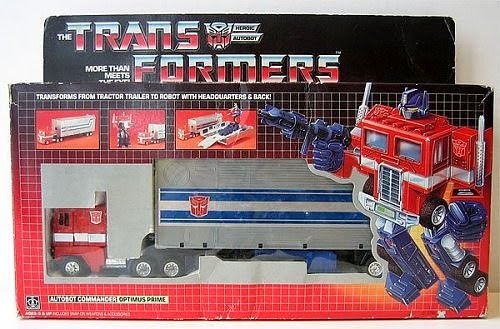 His favorite being the original 1984 Optimus Prime (I mean come on… who’s isn’t). 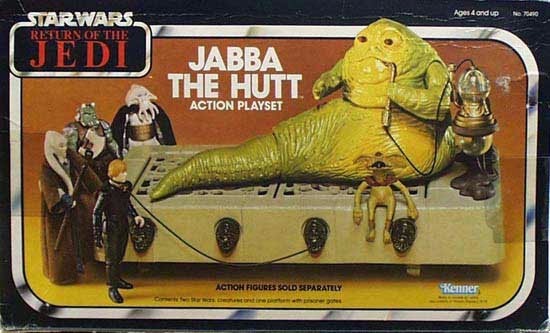 He also had fond memories of a certain Hutt gangster. 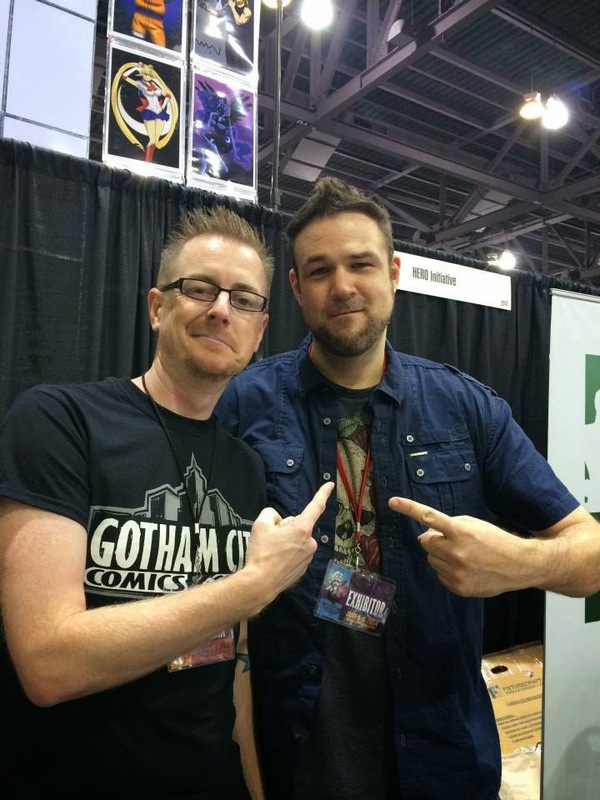 Our next stop was Image and DC artist Brett Booth’s… booth. 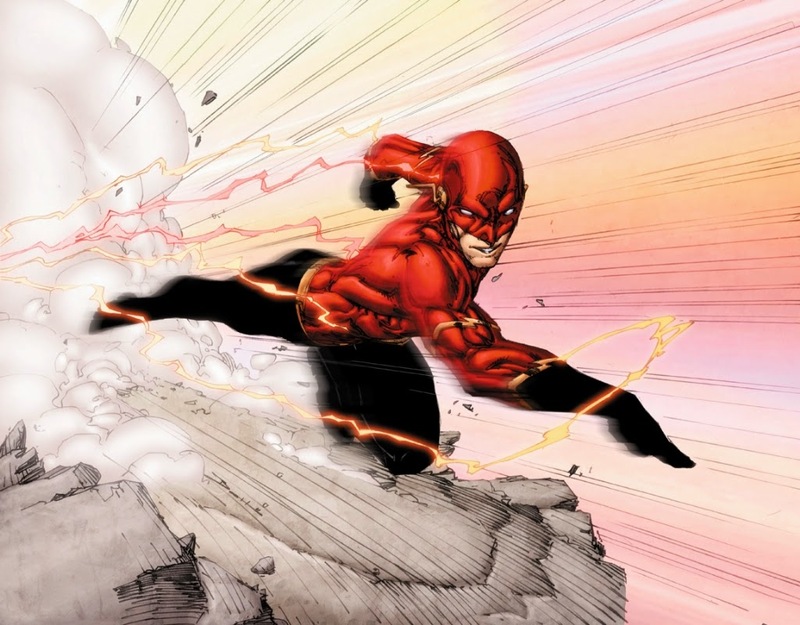 You’ve seen Brett’s art in Image’s “Backlash” and the DC New Universe’s “Teen Titans” and right now in the latest “Flash” arc. I got the best reaction out of Brett when I asked him what his favorite toy was; he was taken aback by my question. I’m sure he hears the same questions all the time. How did he get into art? Who were his influences? Does he really love to draw? And that’s where my question comes in... it’s not normal and it stops them and makes them think. Brett took a good couple of seconds, but he finally let me know. 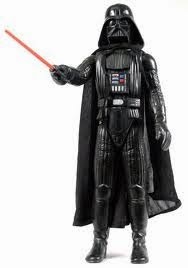 When he was a boy, his parents used to give him money for Secret Santa. 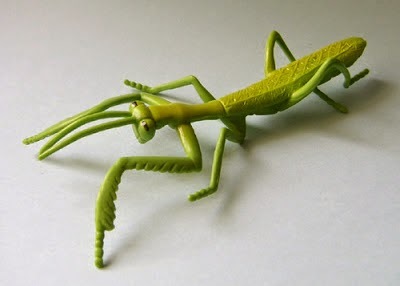 For $1, he bought a rubber praying mantis. He played with it for days and loved the way it looked and moved. 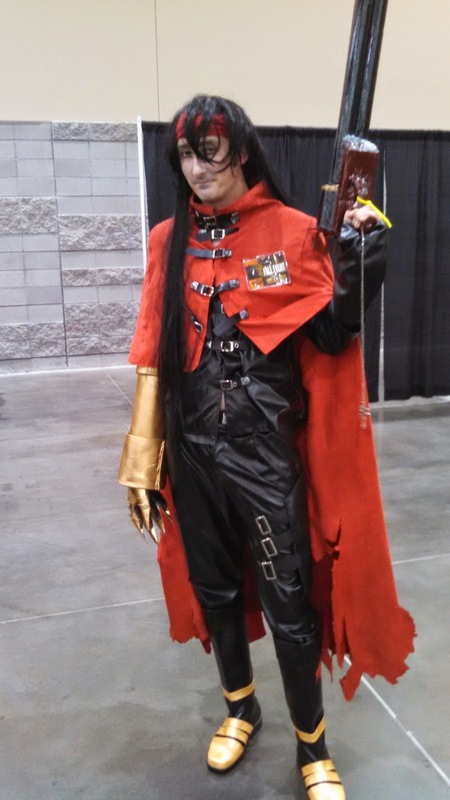 Now, as you walk around Cons, there is certainly NO shortage of cosplayers. From amateurs having fun to professionals signing autographs, you’ll find them. 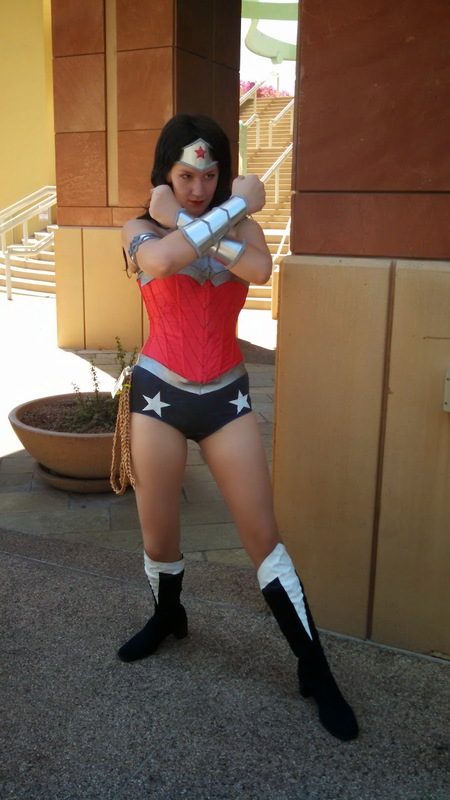 I got the pleasure to meet one of Arizona’s finest, Cara Nicole aka AZ Powergirl. Cara was sporting her Black Widow cosplay on Saturday when I was able to talk to her... then she five-finger-death-punched me. 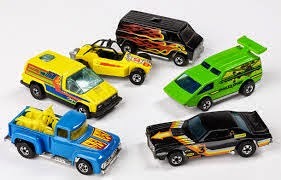 As a kid, Cara said she grew up poor and that they didn’t really have toys. Instead, they had to make do with what they had. One of her favorite pastimes was grabbing a sheet of cardboard and sliding down hills at breakneck speeds. I can remember doing that myself… its one of those things kids do. 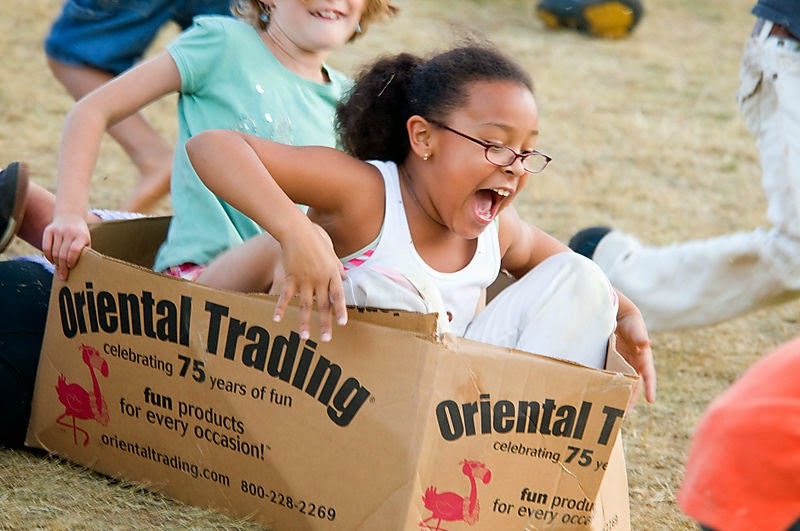 It punctuates the fact as a kid, you don’t need to have toys to have fun. Now… one of my own Guilty pleasures… that even the other guys here at OnePerCase make fun of me for… is Power Rangers. 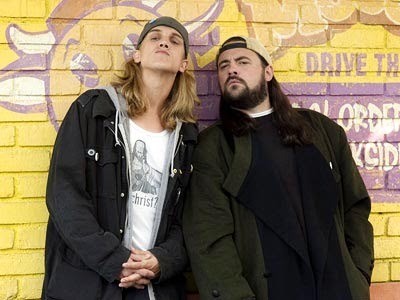 I started watching the show when it hit the air back in 1994… when I was a Senior in highschool. 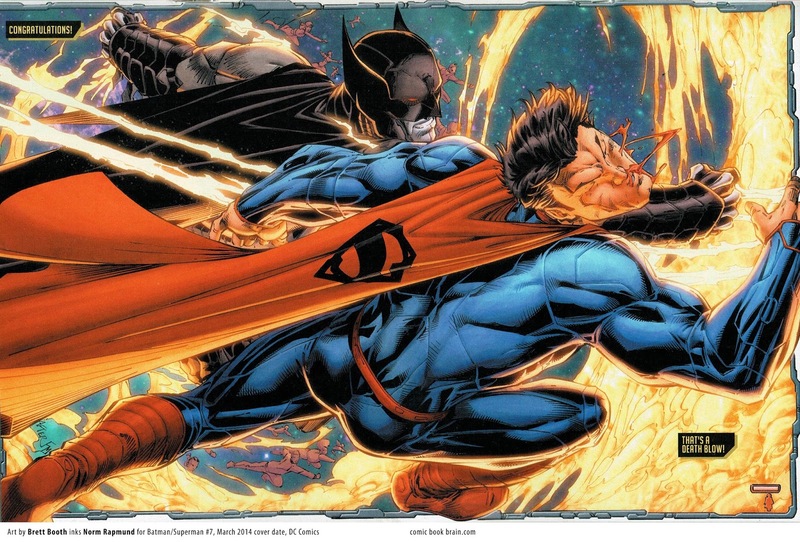 To this day, I get flack from geeks for being a geek. But whatever… I enjoy it and they can’t stop me. I’ve been slowly setting up my Power Rangers display shelf and am only a few items away from it being what I consider perfect. 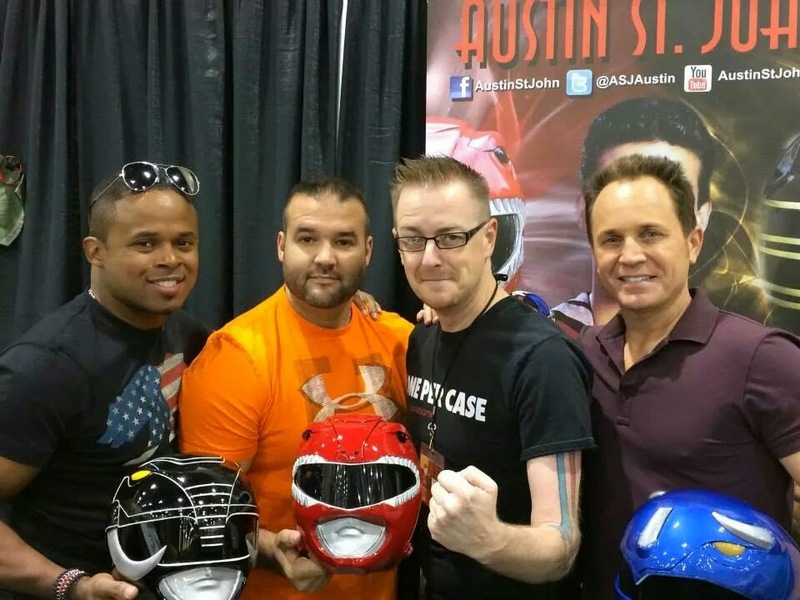 While at Phoenix, I got to geekout with 3 of the original Mighty Morphin’ Power Rangers… Jason the Red Ranger played by Austin St. John, Zak the Black Ranger played by Walter Jones, and Billy the Blue Ranger played by David Yost. 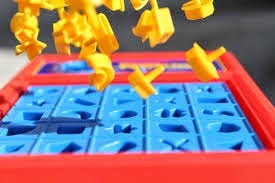 I was in turn able to ask each of them what they remembered playing with the most. 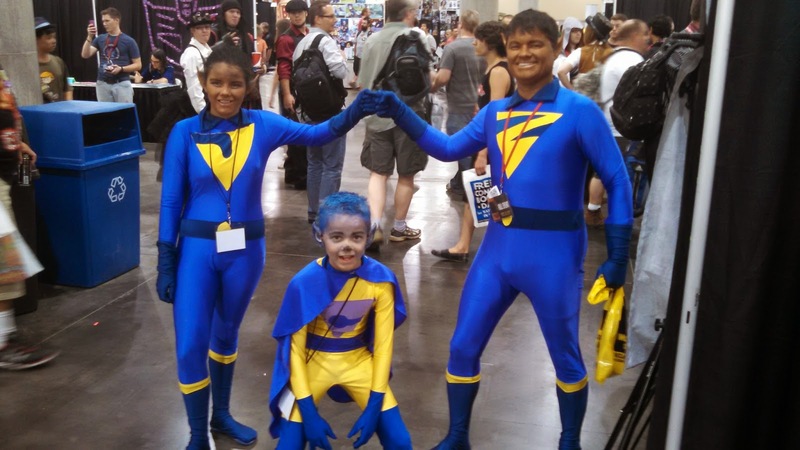 For David Yost, he had fond memories of his 12” Darth Vader action figure. 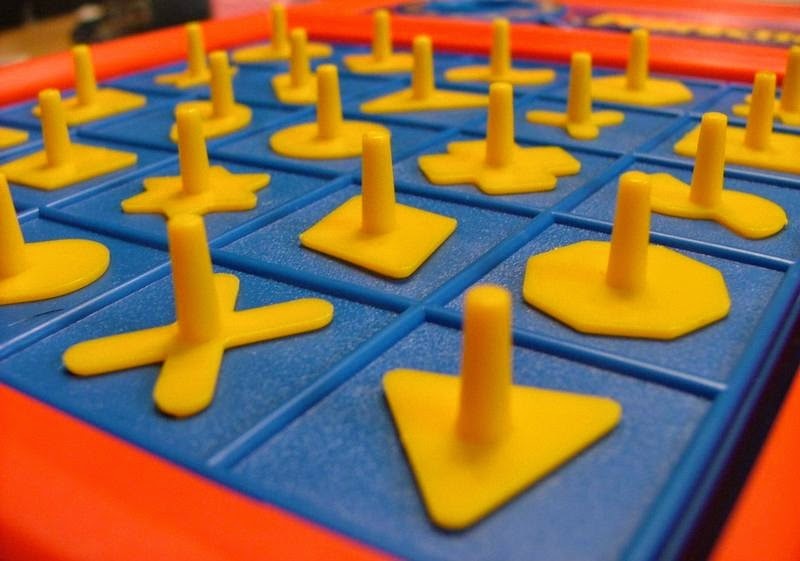 I think Walter had the most unique answer… not so much a toy, but a game. Walter spent hours trying to be the fastest player he could at… the game of Perfection. For me, meeting the Rangers was a real treat. Over at the Hero Initiative booth, I came across an artist who was in the midst of doodling some commissions by the name of John Stinsman. 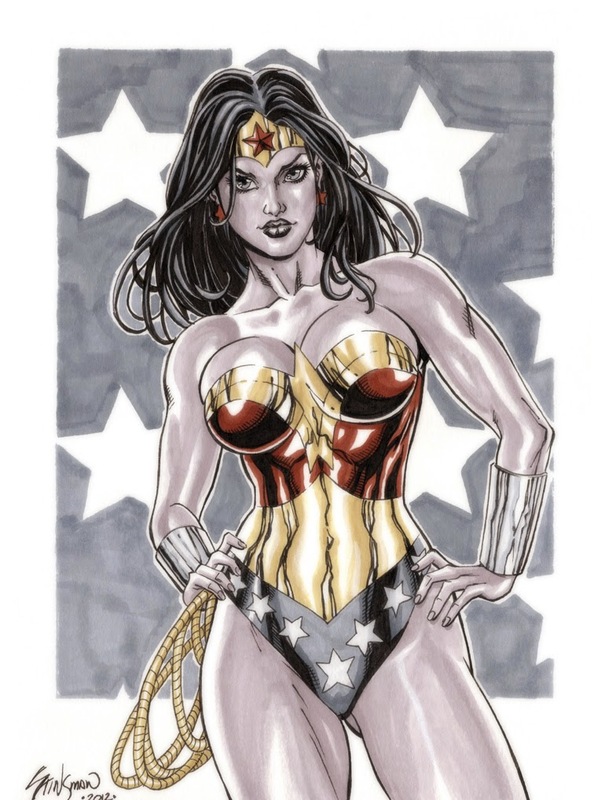 John has done quite a bit of work for Image; penciling the books “Avengelyne”, “Lady Pendragon” and “Team Youngblood”. When I asked John what his favorite toy was, he pointed to my stars and stripes tattoo and said I was wearing it. It turns out John was a fan of the ARAH age of GI:Joe as well. 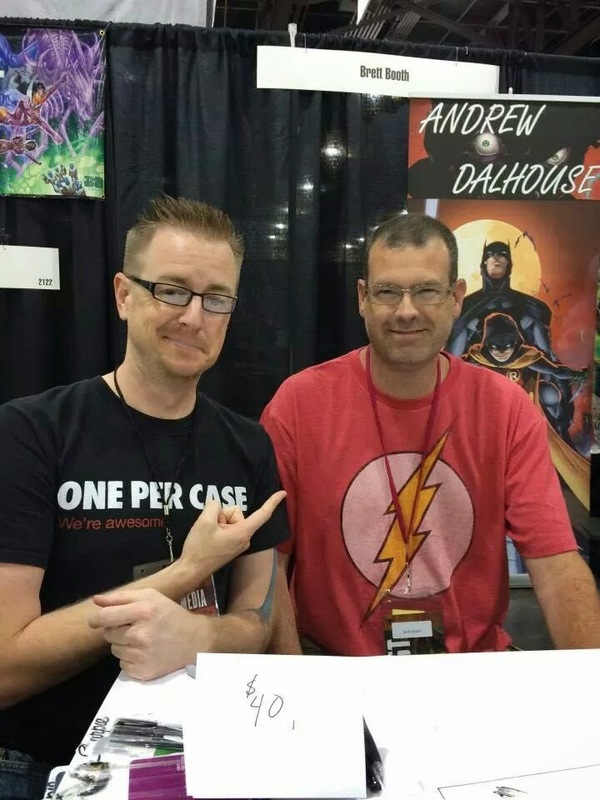 When I had initially introduced myself as being a blogger for OnePerCase, John acknowledged that he has actually read our stuff and visits our site. 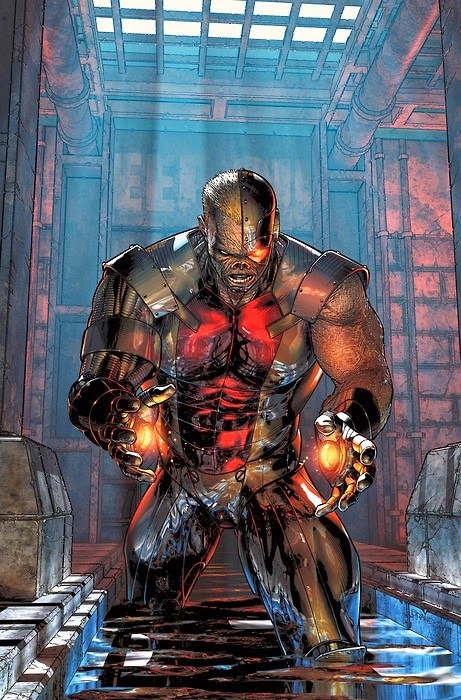 He just has one complaint… we don’t update enough. Hopefully, we’ll start remedying that. My most random and fun question was done on Saturday night. While the Phoenix Comic Con was happening… a certain writer/comedian/director/producer was playing a gig at the Improv house next to the Copper Blues where my friends and I were having a few drinks. 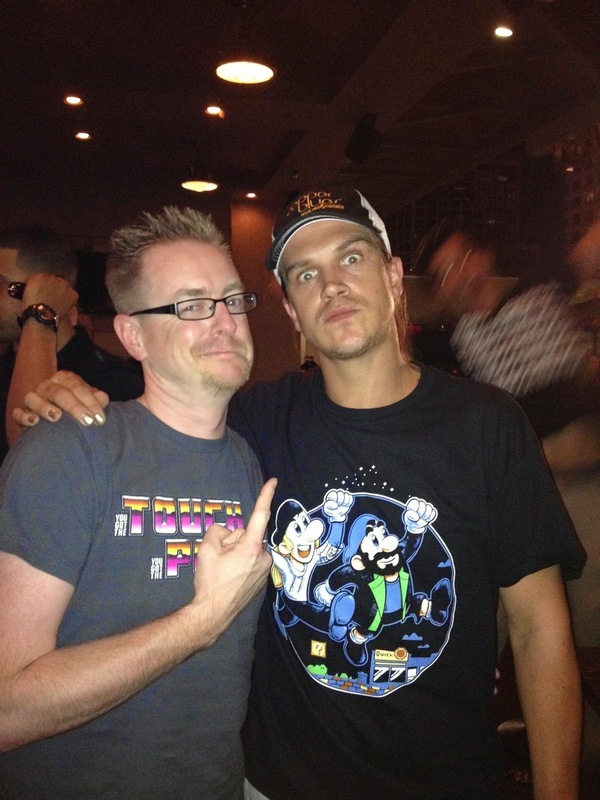 Lo and behold, outside was standing his pal and partner in crime, Jason Mewes. “Jay” himself was out shaking hands and signing autographs. I headed on out the doors, said hello, shook his hand, and asked away. As he started signing another autograph, he started telling me that he has this dinosaur toy as a kid… this crazy robot dinosaur. He was making hand gestures showing me roughly the size of what he was talking about. And just like that, it hit him “THE F**KING DINOBOTS! 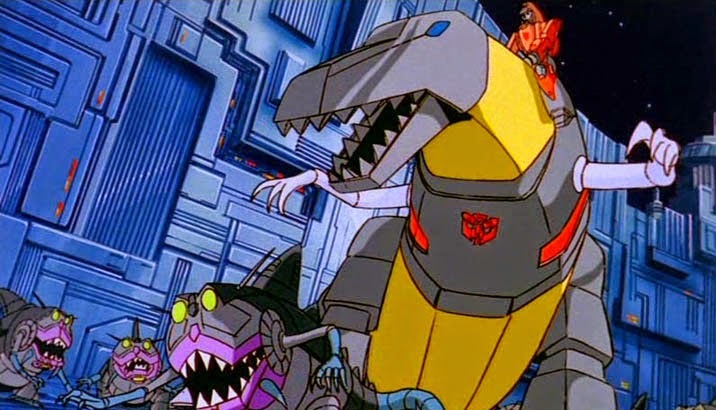 I LOVED THE DINOBOTS”. 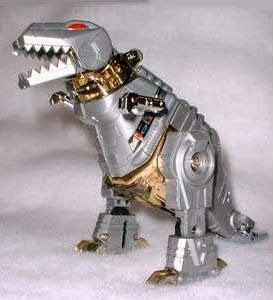 "Me Grimlock no like snootchie-bootchies!" I had a great time in Phoenix. My buddy Ken knows how to have a good time and I got to see people that I don’t get to see a lot, if at all. I met some fantastic new people that I hope I’ll get to see again. 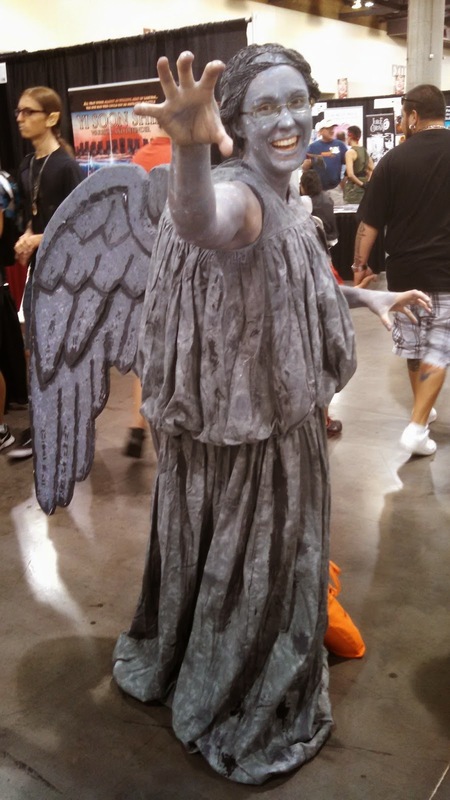 As for the Phoenix Comic Con itself, there’s always a gaggle of stars to meet; from artists to the movies and they are all there to meet their fans. 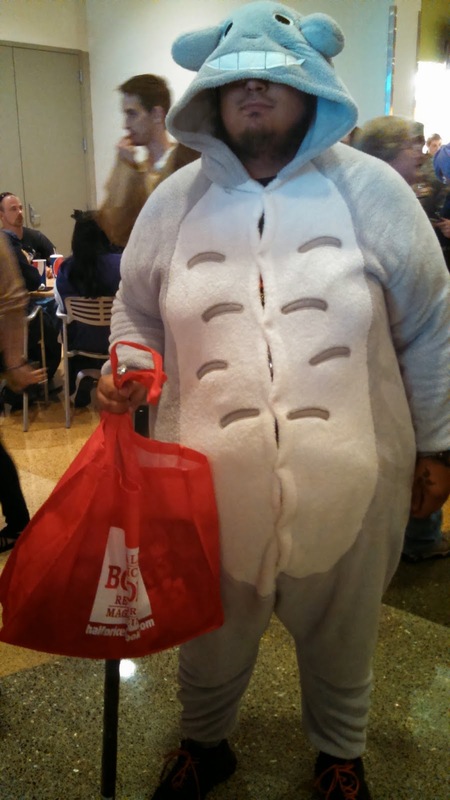 And, since it’s a Con, you cant ever get out of there without getting something. Me? 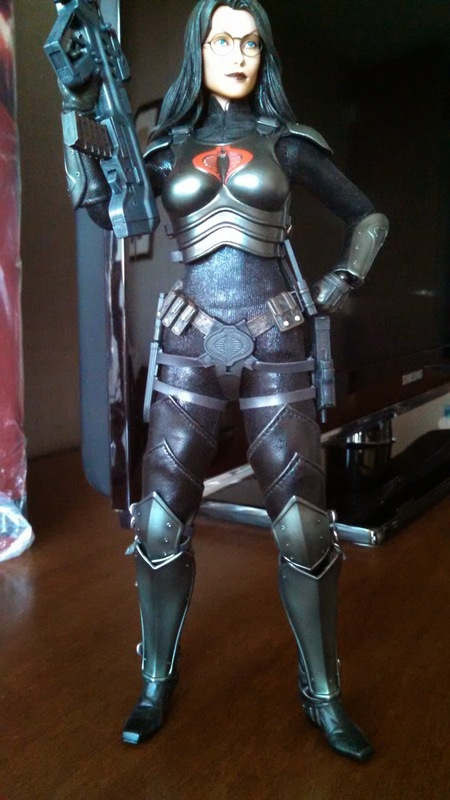 I was able to pick up the Sideshow 12” Baroness figure for quite a nice price. Sideshow makes and amazing product. 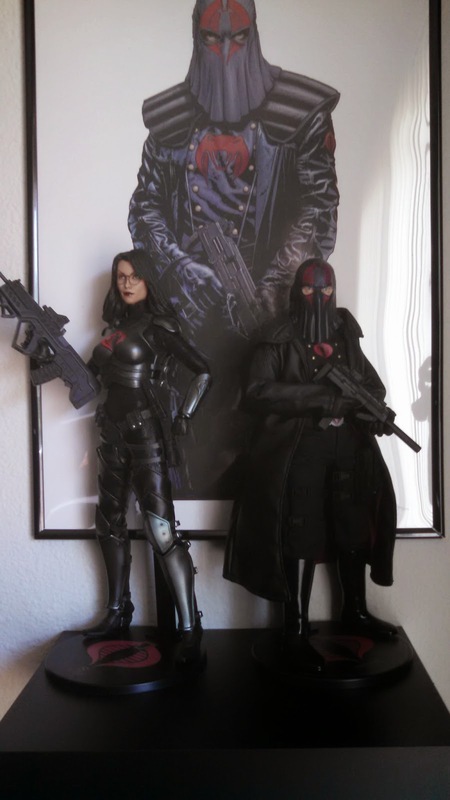 Once I got her home, she went on display with Cobra Commander in front of my signed Tim Bradstreet print. 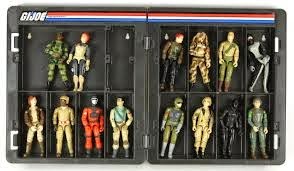 I'm eagerly awaiting Destro so they can be displayed together on their own shelf. 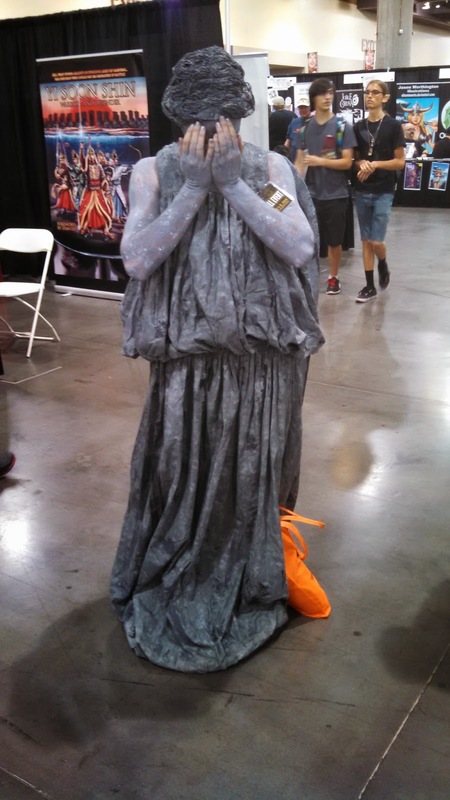 Hopefully you can get out to the Phoenix Comic Con yourself in the future… just be sure to drink lots of water. My next Con starts on June 19th... BotCon in Pasadena... then onto San Diego in July. 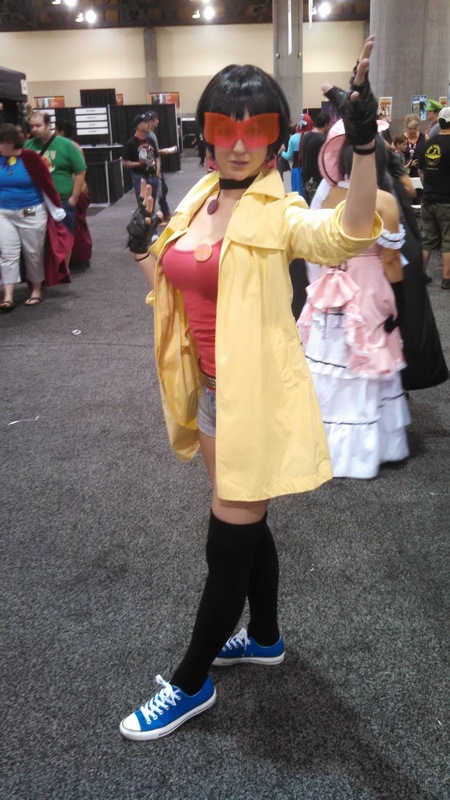 Until then… I leave you with coplay. Thanks for reading! 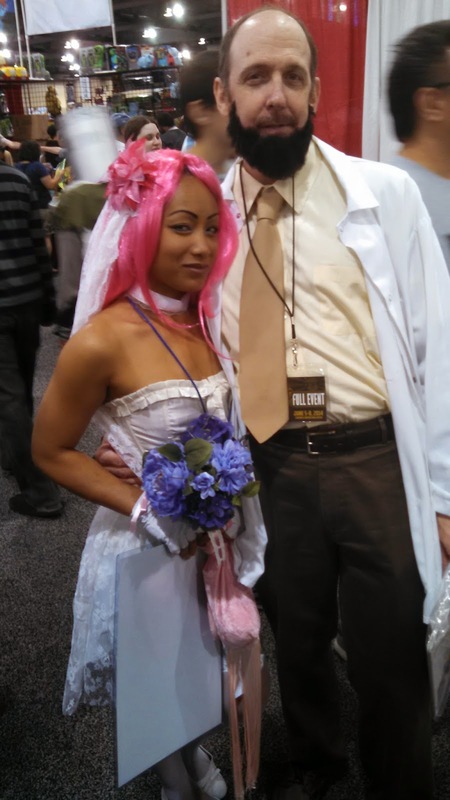 Dr. Kreiger and his virtual girlfriend. 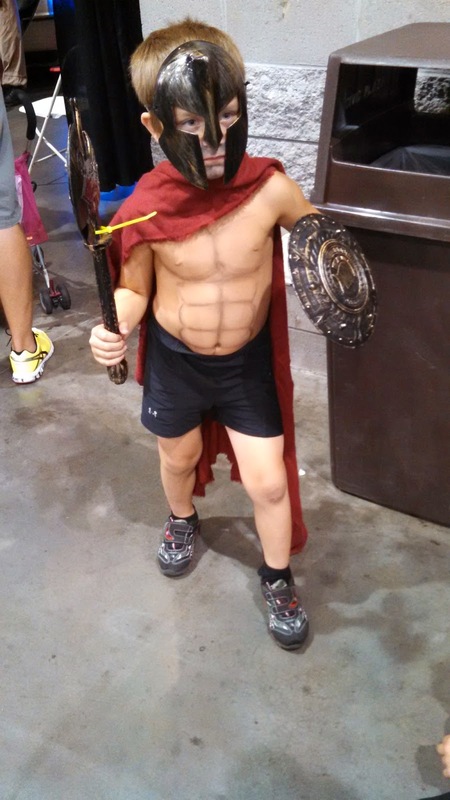 I lol'd a lot for this kid... painted abs and beard! Seriously?! And GLEEK!! Most excellent! He was on drywall stilts for height. That's the first time I've seen that for a Marine. 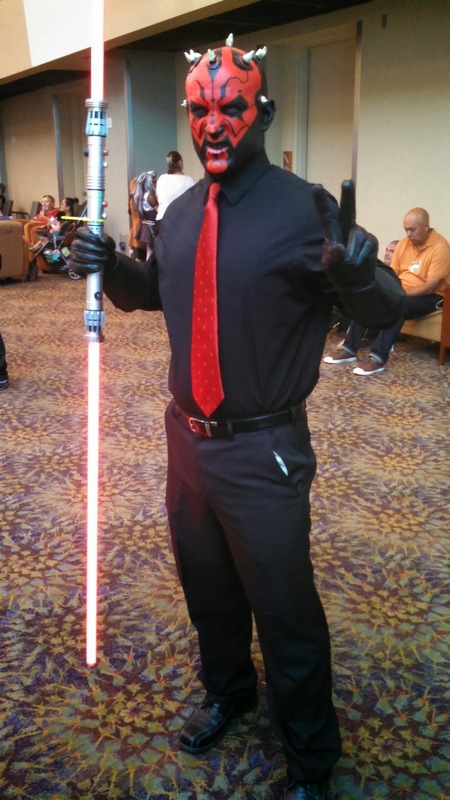 This Darth Maul means business! THE cutest Ewok you'll ever see. 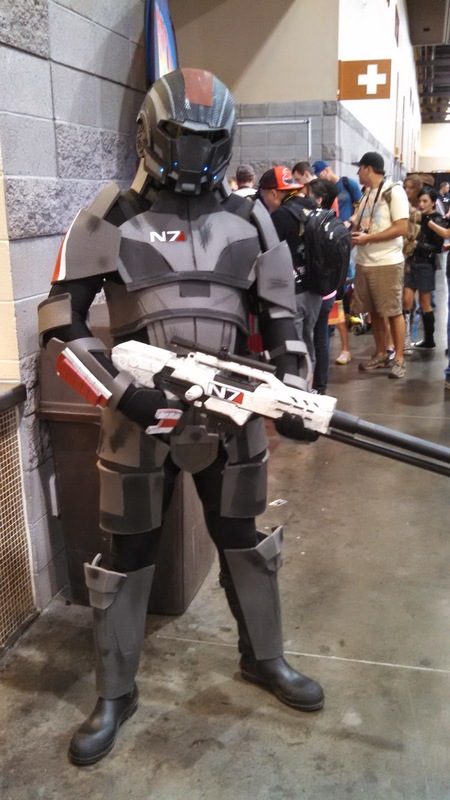 It's nice to see Mass Effect still making the rounds. 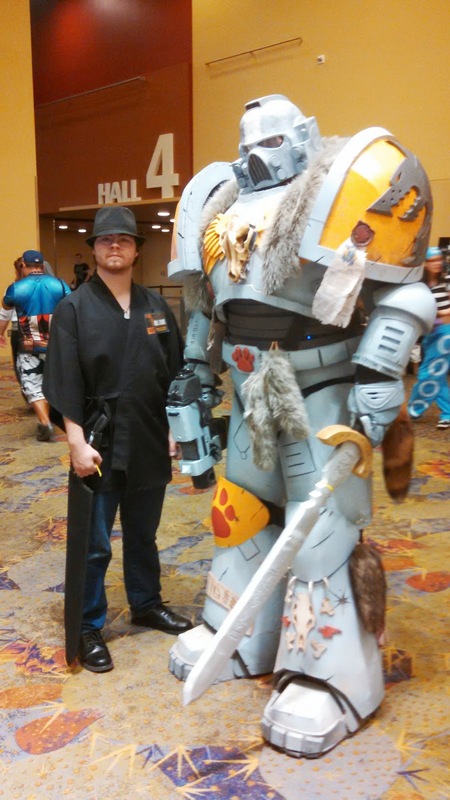 Pics, orals, and fun had by Scion of Primus. WOw look like a fun con! Power ranger was big in the 90s. It marked the era in US. Thanks for sharing!